Brickstar Rascal prefers to call himself a “Burpstar”. “Big Ugly Rock Piece Star”, he explained. Musician Simply Rascal has cancelled his planned 2 concerts for Davidium this weekend after it emerged the 250 tickets for the event were accidentally sent to another city. The error was being blamed by Rascal on the concert organisers Miki Events whom he accused of having “bricked it all up”. Rascal claimed that sales would be significantly “pear-shaped” if tickets could only go on sale in the capital tomorrow and for this reason he was going to do a “no show”. “I don’t like working on weekends and believe me trying to entertain you lot is work. I’m in it for the cash and if the cash is not in it for me then I’m rascaling my way out”. He described the tickets situation as “bley”. 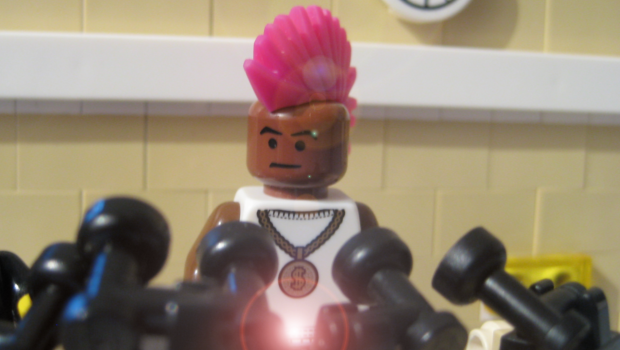 The loss of the concert is expected to upset his hoards of rebellious teenfig fans but please many residents who live nearby around the concert venue.